This program is a Notepad for Pocket PC just like Windows Notepad for PC. 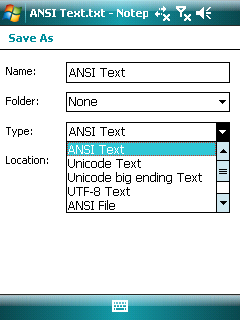 You can open and save ANSI, Unicode, Unicode big ending and UTF-8 files up to 64KB using this program. 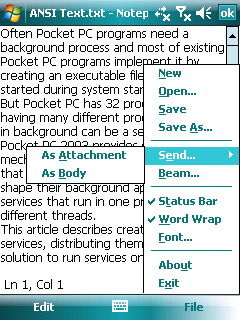 After installing this program on your Pocket PC you can simply open txt, ini and inf files just by tapping on them. 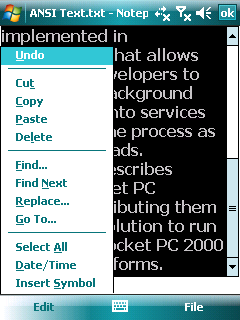 This program is able to open other text files too.